Our Amy was a teacher, a foster mother, a daughter, a sister, a writer and a friend to all. She was a lover of conversation, children, civic duty, a good time and most of all, a lover of life. 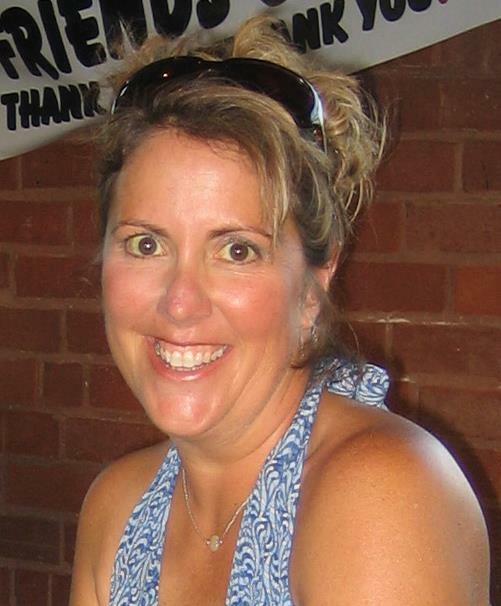 Amy graduated from Iowa State University in 1990 with degrees in elementary and early childhood education. She received her master’s degree in education in 2004 from Western Illinois University. Children were an incredibly important part of Amy’s life. She taught elementary school in Muscatine and cared for foster children until 2006. In 2004 Amy was diagnosed with Stage 3 breast cancer. She kept her sense of humor and wanted people to be comfortable around her. She became a local spokeswoman for cancer awareness and described her ongoing experiences with cancer in her column, The Good News, in the Muscatine Journal which she began writing in 1997. When she lost her hair after chemotherapy treatments in 2005 she had her photo retaken to reflect her new, bald experience. Amy passed away on February 28, 2008 at Genesis Hospital in Davenport. She was 40. Her mother Kathy said, “She was still gung-ho. She was going to do more radiation, but her body just gave out.” In one of Amy’s last conversations she discussed how scary it was to face death. She decided that maybe one good thing was finding out how many people cared about her. The number of people who attended her funeral was a testament to how many people loved Amy and how many lives she touched.